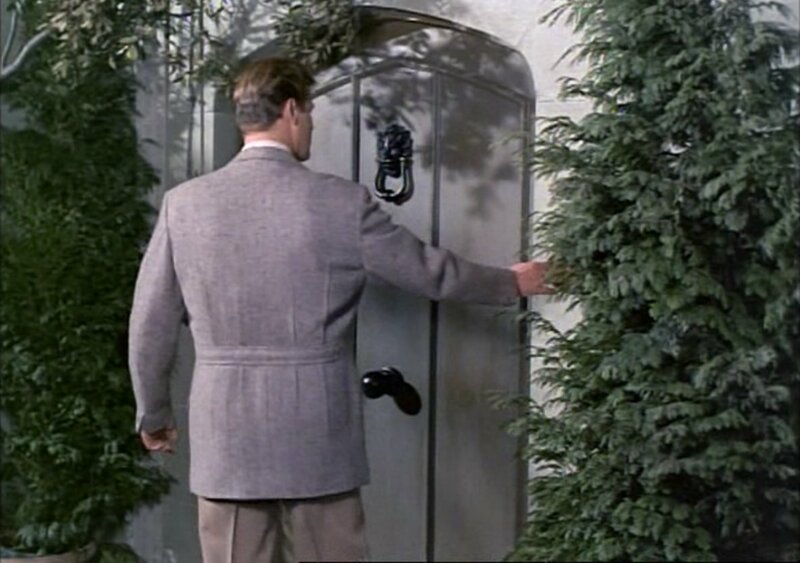 In the 5th series of The Saint, Roger Moore wears a unique sports coat with a pleated back, tailored by Cyril Castle. 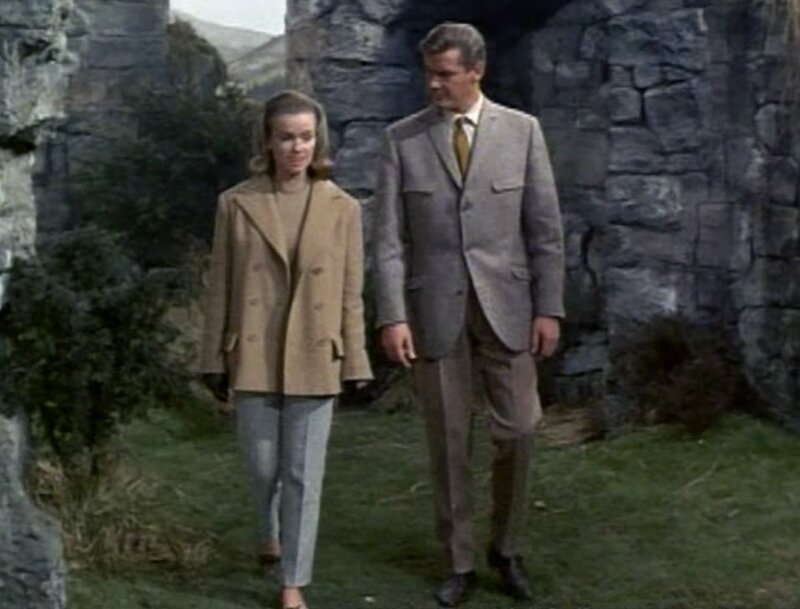 This outfit in particular is seen in the episode “The Convenient Monster.” The fabric is a grey and cream tweed herringbone. The button three sports coat has natural shoulders and a crooked cut, which puts more fabric to the front of the coat in front of the neck point showing less shirt and raising the collar. Though Moore usually wears button-three suit jackets and sports coats in The Saint, the buttons on this jacket are spaced farther apart than on most of Moore’s jackets. Moore buttons the top two buttons, which serves to keep him warm outdoors in cool, damp Scotland. Ordinarily, Moore only buttons the middle button on his button-three jackets. A heavy tweed jacket is always best with a button three or button four front that buttons to the top because they were originally designed to be worn outdoors in cool, damp weather or indoors in old, drafty homes. The back of the sports coat has a belt and two pleats above and below the waist on each side, with no vents. The jacket is detailed with swelled edges, single-button cuffs and four flapped pockets. The two hip pockets are slanted down and the two breast pockets are slanted up. The flaps are narrow to match the narrow lapels. The double, flapped breast pockets and belted and pleated back place this coat in the sporting tradition, though the lack of a vent means this coat is not meant for riding. 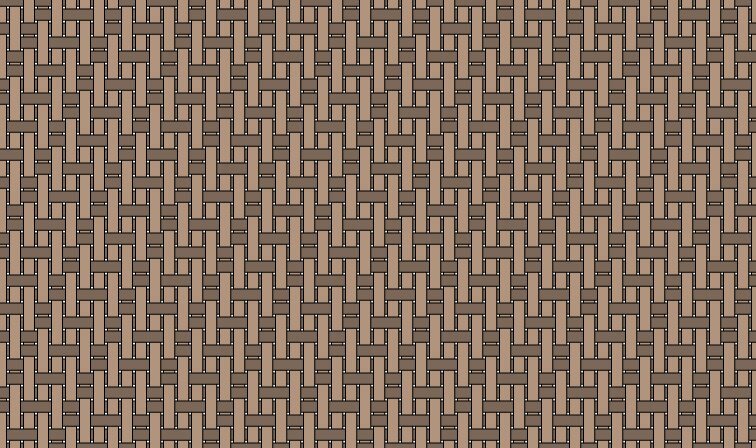 Moore’s trousers are tan cavalry twill, which is a heavy wool characterized by double twill wales. The ecru shirt has a spread collar and double cuffs. Moore wears an olive satin tie, tied in a four-in-hand knot. Moore wears black socks and black slip-on shoes with elastic gussets, though black is at odds with the rest of the outfit where earth tones dominate. But black shoes are neutral and can be worn with anything, despite them not being the most stylish option. More rugged shoes would also be more appropriate with this outdoor county outfit. I haven’t watched these episodes for quite some time now but I seem to recall that he wore this jacket quite a bit during this, first colour season. I agree about the black shoes but in other episodes I think I recall him wearing the same jacket and trousers combination with suede (desert) boots in some shade of tan. Regarding the Frank Foster attribution, I think you may be on shaky ground, Matt. My understanding from Foster was that he began producing Moore’s shirts at the time of the next, and final, Saint series in 1968. 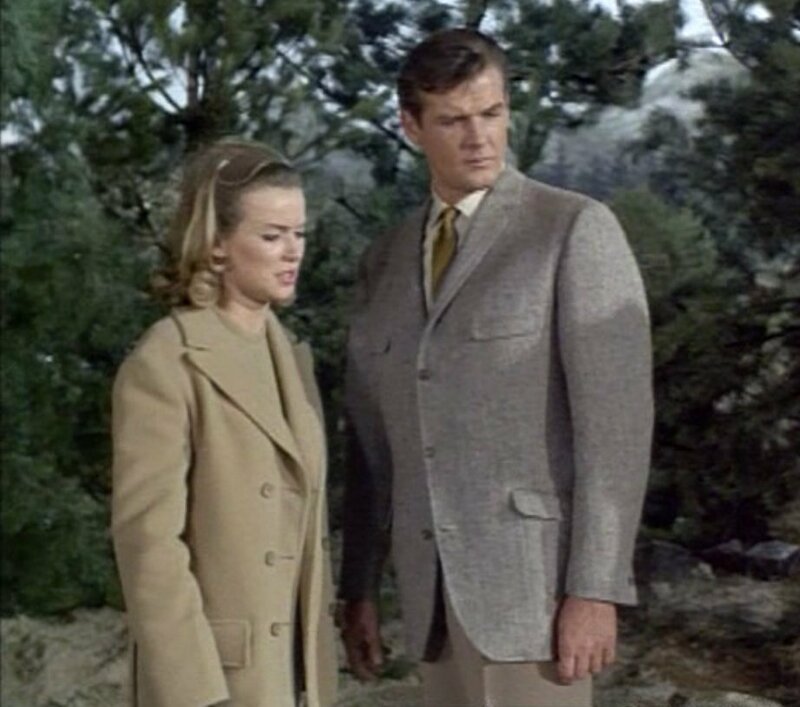 His signature cocktail cuff first appeared at the start of this final series and the shirts Moore wore exclusively throughout this series were a shade of cream/ecru. I think the shirts from the previous series, and the time of this particular post, were white with a double cuff. I love this “countrified” outfit, and I agree that it positively screams for suede or oiled leather chukka boots. Black slip-ons – what were they thinking? Matt, are you going to comment on the belted tweed jacket Sean Connery wore (rather incongruously) in the last Nevada scene in DAF? It was a beautiful outfit, just a little out of place. This is one of the better coats Moore wore in the colour Saint episodes. In many of those episodes he seems to rotate two three-piece suits, one in grey, the other a sort of olive, and they are very unflattering. They look like gabardine and drape rather shabbily. All his best clothes seemed to be in the first two series. Personally I think Moore dressed better than Connery in the sixties, at least more varied. Everyone remembers Moore’s Bond tenure in the ’70s and associates him with wide lapel sports jackets, but he dressed exquisitely in the early Saint.